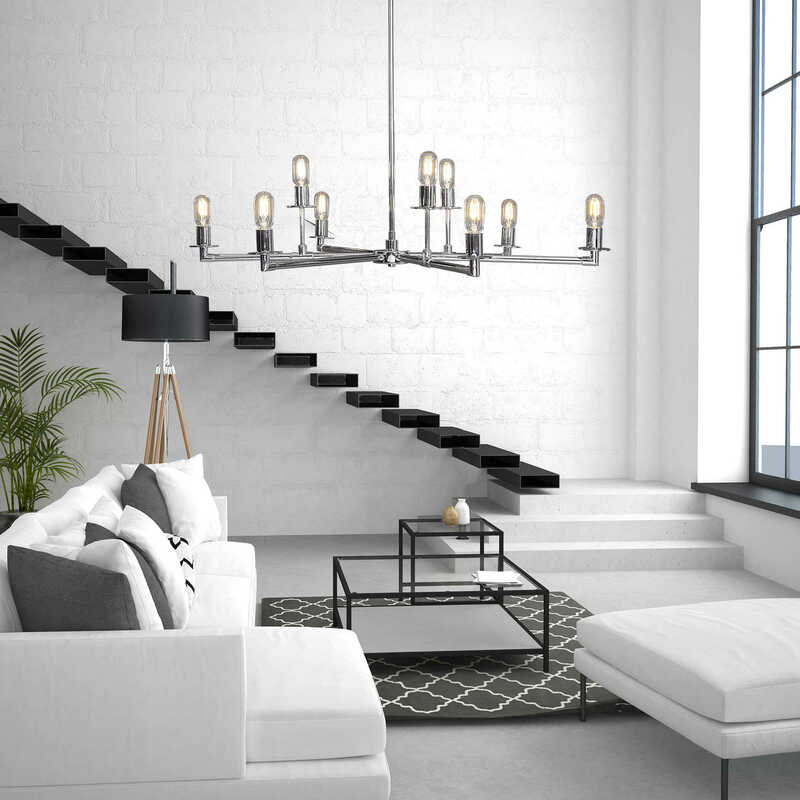 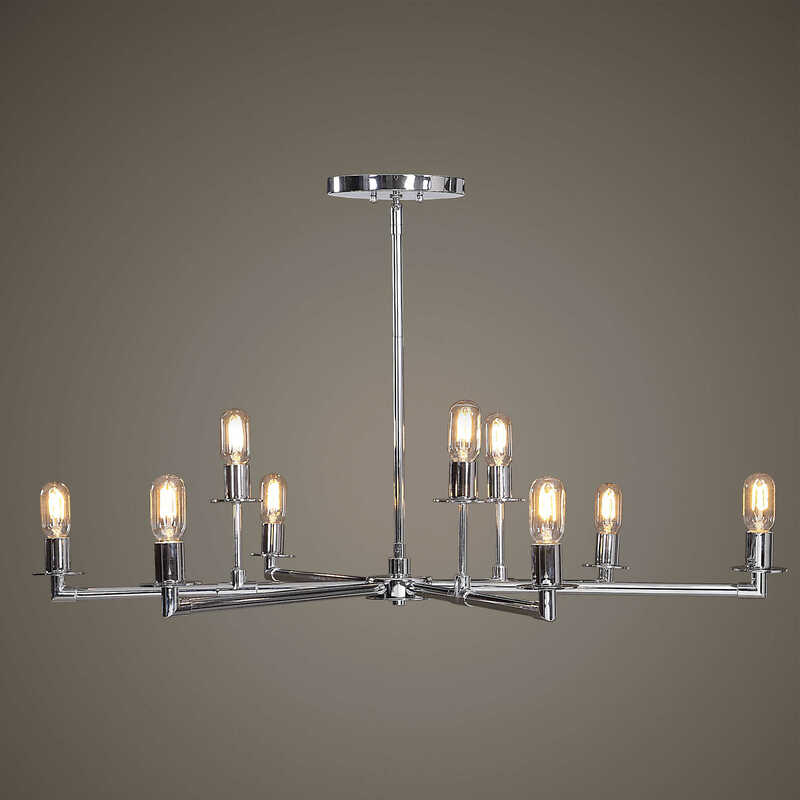 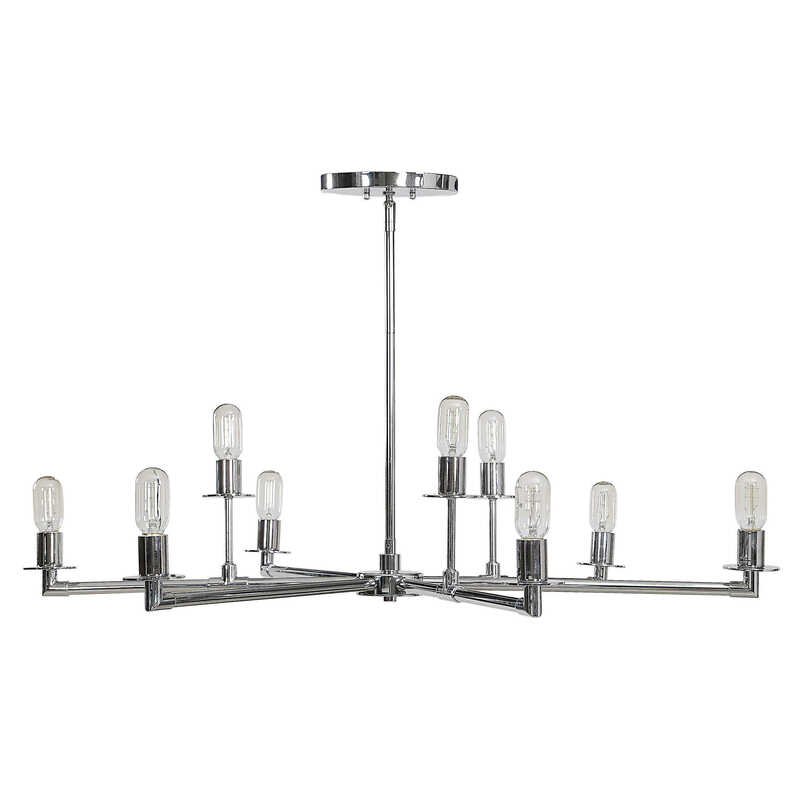 Dressed up, clean industrial design describes this 9 Lt. chandelier in a chrome finish featuring pipe style connections with staggered height sockets. 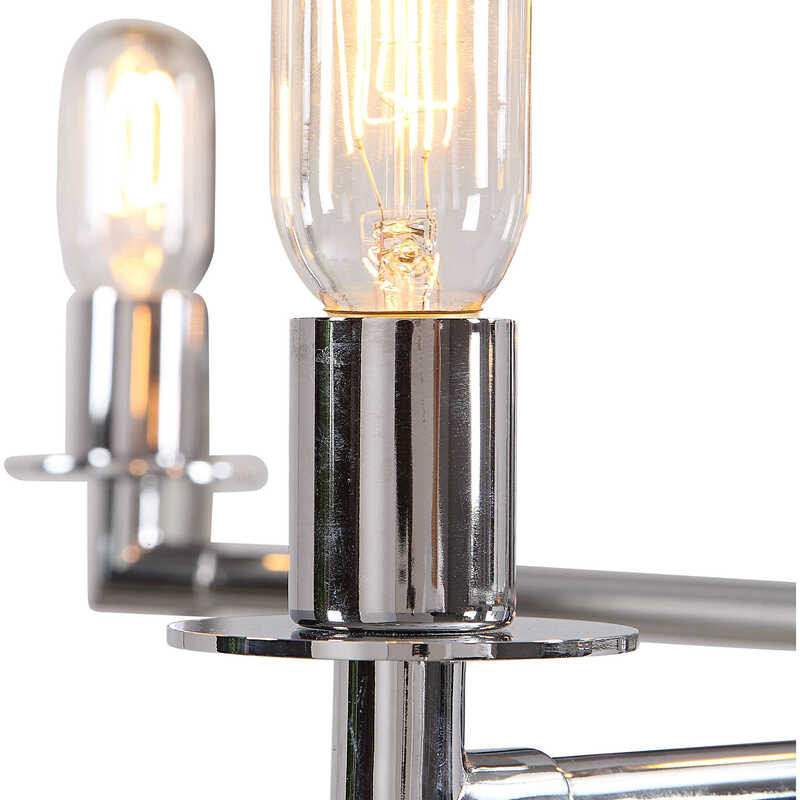 9-60 watt max Edison sockets and includes 9-40W T45 clear antique style bulbs. 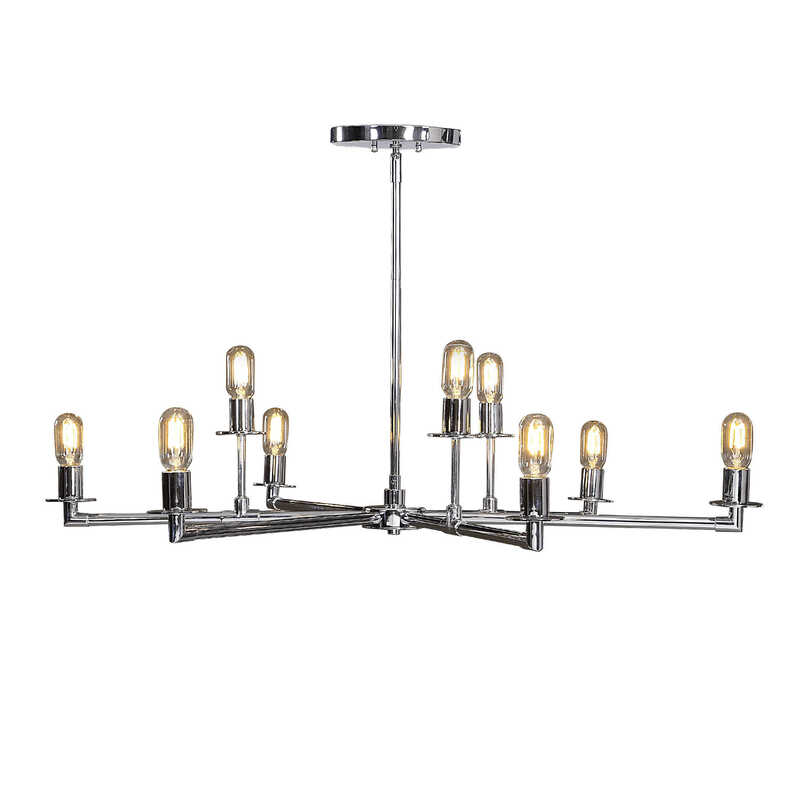 Includes 20'wire, and 3-12" stems & 1-6" stem for adjustable installation.